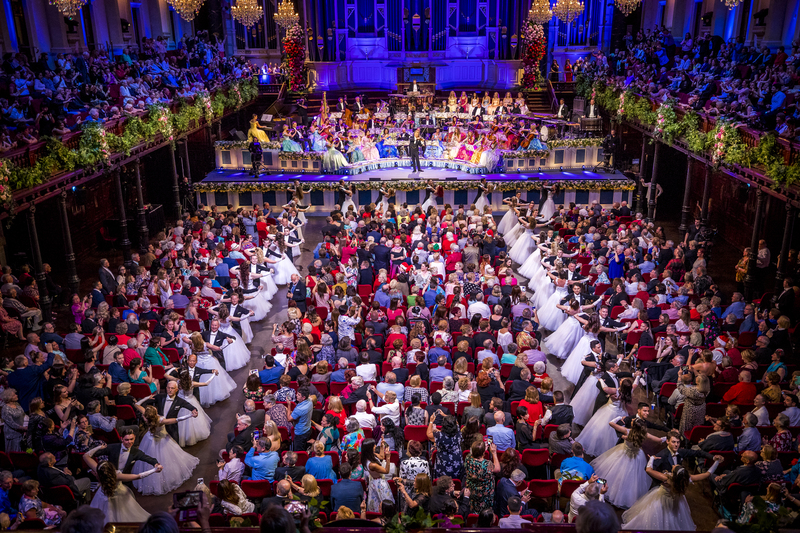 Piece of Magic Entertainment’s “André Rieu 2019 New Year’s Concert from Sydney” has achieved unprecedented international growth in music event cinema, toasting great success with André’s first ever New Year’s concert in cinemas across the world. The King of Waltz had an incredible opening weekend in which worldwide they grossed over $4.6 million (sources: comScore, Piece of Magic, Cineplex), including $2.333 million [£1.819 million] (source: comScore) in the UK alone – the biggest opening weekend recorded for a music concert. The success of the show means Piece of Magic Entertainment have beaten competition from other event cinema titles released in the last year, including Coldplay – A Head full of Dreams ($3.5m globally) and Muse Drones World Tour ($2.5m globally) (source: Trafalgar Releasing). In total – with several encore screenings planned – the expectation is that André Rieu’s New Year’s concert will surpass $5 million worldwide. Since Piece of Magic Entertainment took over the distribution of André Rieu’s cinema events in 2017, there has not only been rapid growth in established markets such as the UK (2017-2019, growth by 24%) but also in international markets. Growth in Germany up 120% (source: ComScore), Spain up 308% (source: POM), Canada up 39% (source: Cineplex) and Netherlands up 23% (source: POM, ComScore). During this time, Piece of Magic Entertainment has also become a force in gaming cinema events. Through a long-term partnership with publisher Riot Games they are broadcasting the largest eSport competition in the world League of Legends (LOL) direct to fans in cinema – a huge growth area in key markets such as the UK, Germany, Spain, Denmark, Austria and the Netherlands. In 2019, Piece of Magic Entertainment is set to broadcast four LOL competitions across Europe. Piece of Magic Entertainment has fast become an industry leader in the high growth area of event cinema. Founded in 2017, the company has worked across event cinema titles across genres including gaming (League of Legends) and cinema documentaries (AVICII:True Stories, Nureyev) in addition to their concert work. Piece of Magic Entertainment co-founder and CEO Caspar Nadaud “Once again the figures prove André’s enduring success. We are especially proud of opening new markets and establishing steady growth across the world. Our aim is to continue this growth with André in Cinemas and work with other exciting IP to find a wide cinema audience across the world”. Piece of Magic Entertainment is a one-stop production and worldwide distribution company for artists, organizations and licensors, housing its own production studio, post-production facilities and crew.Event cinema titles across genres include gaming (League of Legends), documentaries (AVICII:True Stories, Nureyev) and concerts (André Rieu).